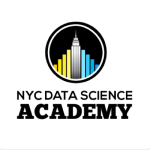 NYC Data Science Academy offers a 12-week Data Science full time bootcamp to become a data scientist and learn the practical skills needed for your career while building awesome solutions for real business and industry problems. 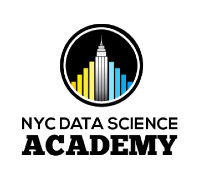 In this program students will learn beginner and intermediate levels of Data Science with R, Python, Hadoop & Spark, as well as the most popular and useful R packages like Shiny, Knitr and more. Five projects are required during the course of the 12 weeks, providing students with the hands on experience that employers look for. By the end of the program, students are “hit the ground running” data scientists, able to take any set of data, analyze it and apply the best predictive analytics. The Academy also offers support in the job search. Ideal applicants have a Masters or PhD degree in Science, Technology, Engineering or Math; applicants with just at BA, or other relevant experience are also considered.